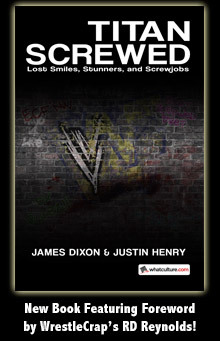 HEADLIES: ZACK RYDER ALREADY ELIMINATED FROM 2014 ROYAL RUMBLE - WrestleCrap - The Very Worst of Pro Wrestling! Pittsburgh – Even though the Royal Rumble match has not even officially started, and with it not even being Sunday the 26th in the United States, Zack Ryder has made Rumble history by being the first man to ever be eliminated before the match had even begun. The 28-year-old Long Island upstart has run into a teeming cauldron of bad luck, as well as executive indifference, in the time since becoming a viral internet sensation. However, this recent occurrence is a new low for Ryder. According to reports, Ryder was merely signing autographs at a media appearance Saturday, when referee John Cone approached Ryder, yelled “OUT!”, and pointed in the general vicinity of where a locker room might theoretically be. For his part, Cone defends his decision to declare Ryder ineligible to return to the ring for the 2014 Rumble match, even though the physical ring has yet to be set up. 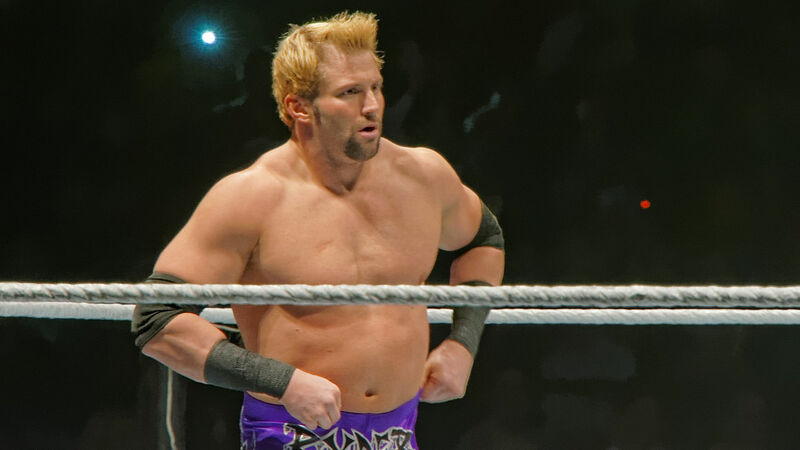 8 Responses to "HEADLIES: ZACK RYDER ALREADY ELIMINATED FROM 2014 ROYAL RUMBLE"
Either Justin chose a particularly unflattering picture for this Headlies, or Zack Ryder has started to slowly morph into Tommy Dreamer since I last watched WWE six months ago. Next a black t-shirt with grow down from his neck. I was looking for a decent photo on Google Images, and that popped up among a Wikipedia archive, and I did a double-take. I literally had no idea Ryder had put on that weight, or even how recent the photo is. Then the Tommy Big Boy Extra Husky Pants. Is it too late for him to go back to being a Major Brother? Zack Ryder still has a job with WWE? Other than selling merchandise during piss break matches, that is. I have a nasty feeling that Sheamus will return and win the Rumble to NOBODY’S delight leading to the Powers of Plain imploding at WM30!!! have I just stumbled on a WrestleManiaCrap main event??? This rapid elimination beats the record set by Shawn Staziak’c in 2001’s immunity battle royal at Survivor Series by 24 hours. Is he who Stevie Richards eliminated to win the RR’04?